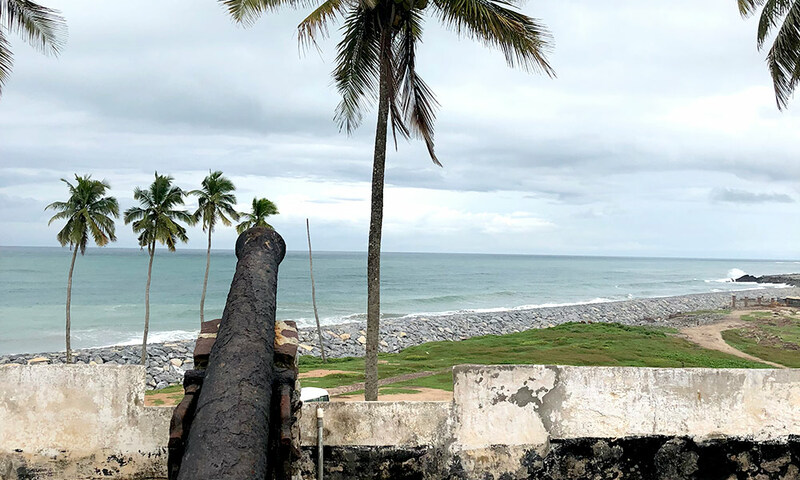 For the second summer, University of Rochester students are participating in a field school in Ghana, studying historic coastal forts built as early as the 15th century, including Elmina Castle. 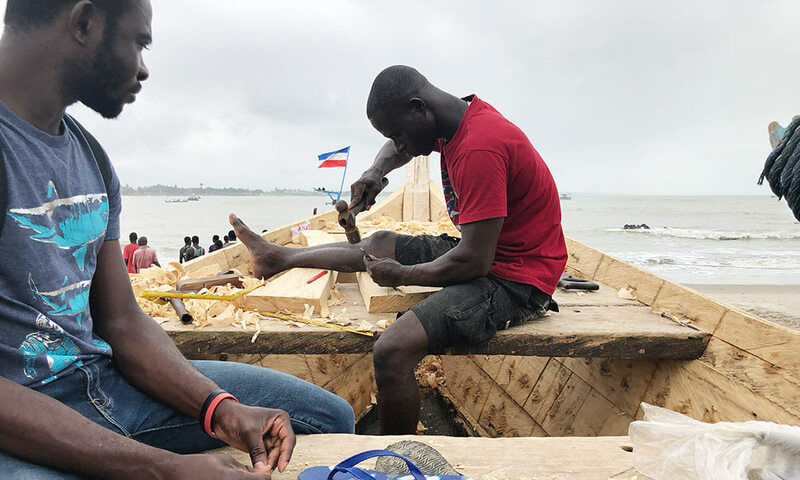 Led by professors Renato Perucchio, Michael Jarvis, and Chris Muir, the students are studying the engineering, historical, and cultural aspects of these structures; visiting other points of interest in Ghana; and sharing their experiences in this blog. 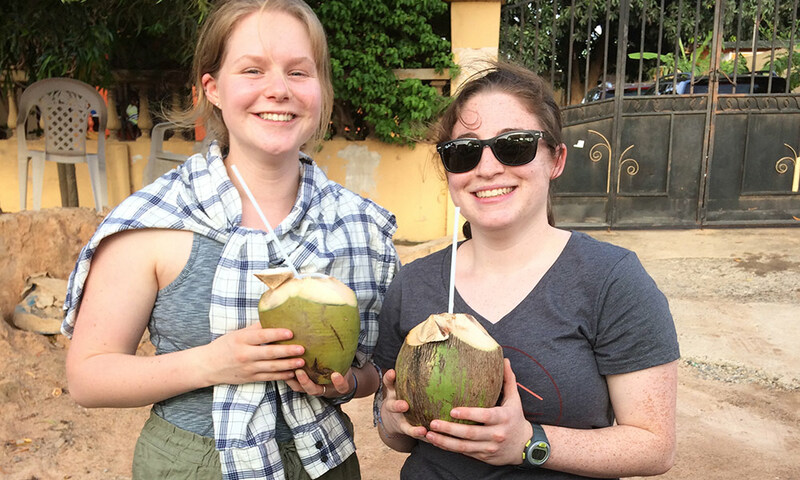 Samantha Turley ’18 (T5) makes her return to the Ghana field school as a teaching assistant. 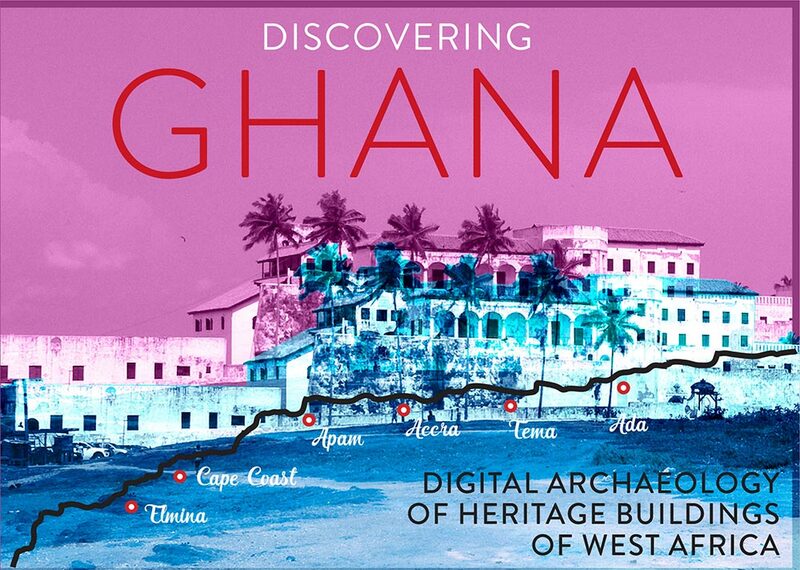 She brings her diverse background in archaeology, engineering, and music to her mission extending the reach of the group’s historical preservation efforts to the wider Ghanian community. 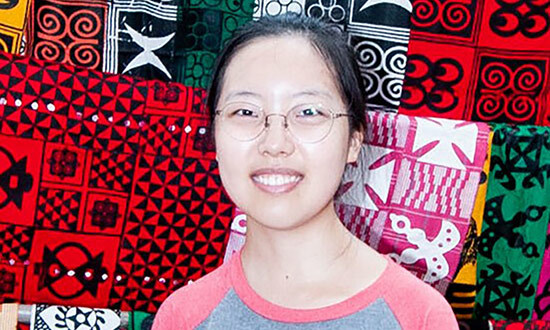 In a break from their work on the forts of the Ghanaian coast, mechanical engineering major Seungju Yeo ’20 learns more about the culture and language of the Ashanti region of modern-day Ghana. 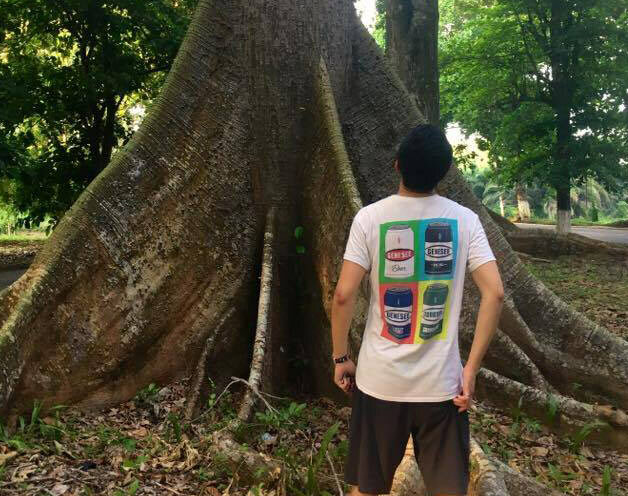 A Renaissance and Global Scholar majoring in ATHS (Archaeology, Technology and Historical Structures) and anthropology, Ewan Shannon ’20 prepped himself for immersion into a new culture with Beryl Markham’s book West with the Night. 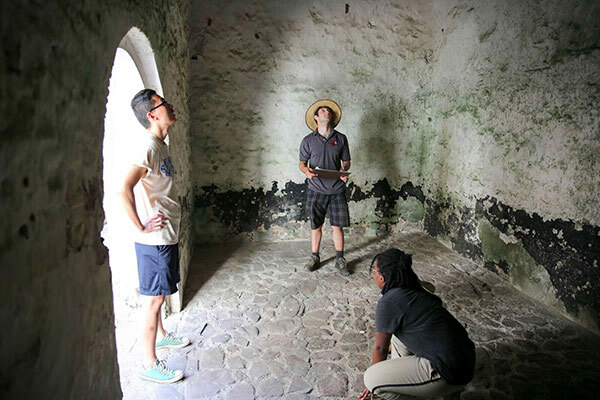 As a student in the digital media studies department, Pooja Priya ’20 was amazed to see the tools and methods for studying the structures and how they added to the understanding of how the forts were constructed and changed over time. 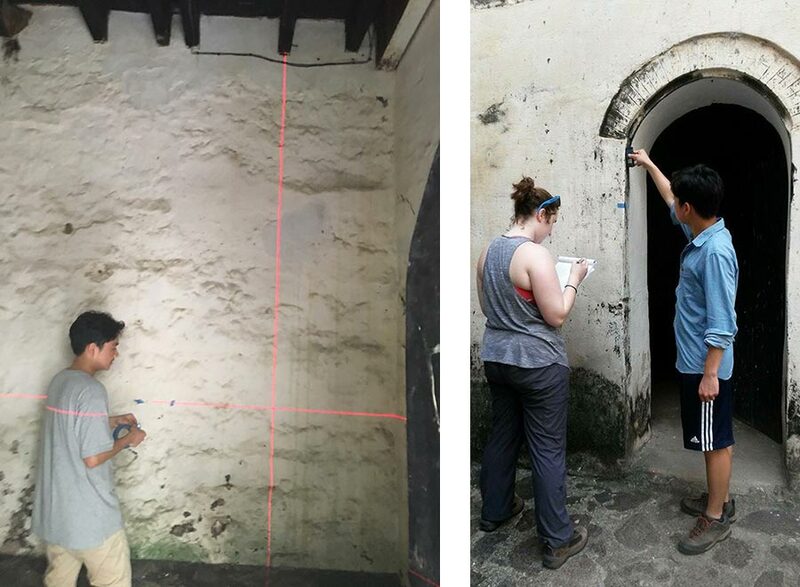 As the work of surveying Elmina Castle gets underway, mechanical engineering student Marcos dos Santos ’20 learns new visualization techniques that will help preserve this monument to enslaved peoples for generations to come. When we look up at a Dutch vault, stretching our tape measures and talking about the construction, we are standing inside a dungeon. This silent, moldy room once held hundreds of lives stripped of dignity, respect, and humanity. … We are not missing the point. He is blessing our attempts to understand, and to safeguard a structure that without continued interest and stewardship, dies, and no longer tells its somber and important story. 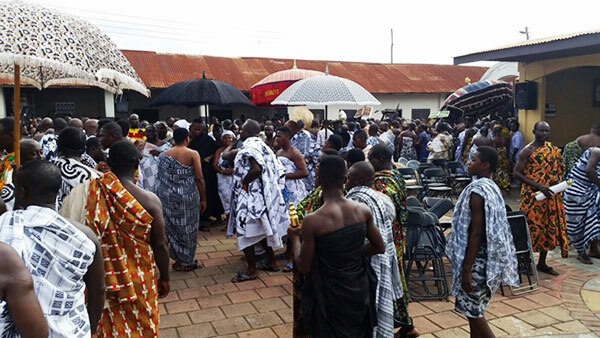 Naomi Rutagarama ’18 reports on a visit to Kumasi, the seat of power of the Ashanti kingdom, where an important ceremony takes place every sixth Sunday. Earlier in the week, Professor Jarvis introduced us to photogrammetry. Photogrammetry is the process of mapping and surveying a field of vision with digital single-lens reflex, or DSLR, cameras…. 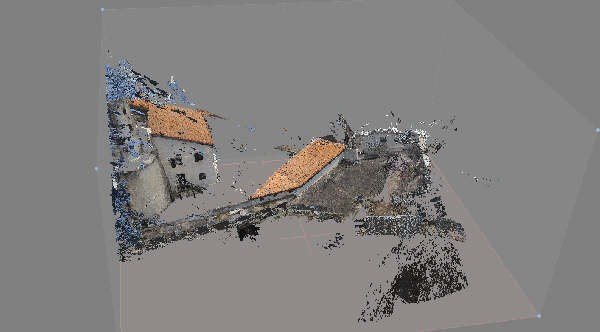 I believe the beauty behind photogrammetry is not about the results, but about the process of creating millions of different points from pictures taken. Having the points later mesh into a solid, all through a computer program, is simply amazing. 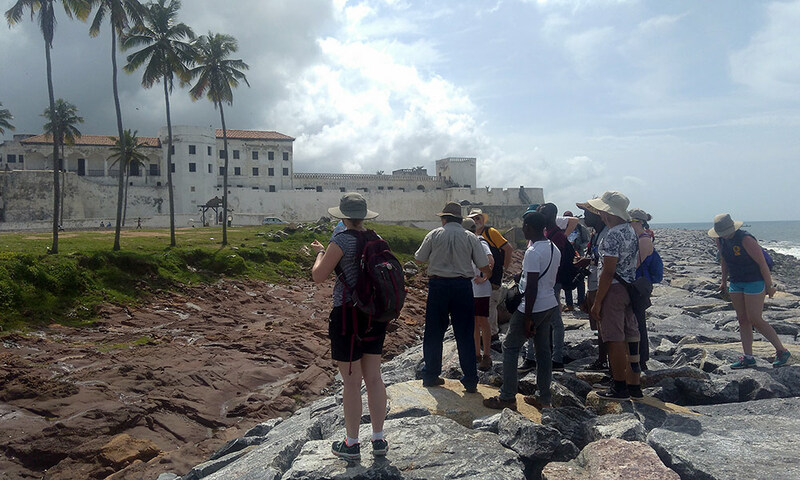 The historical structure that we are studying is Elmina castle, which was built by the Portuguese in the 15th century, and was the first European settlement on the African continent. 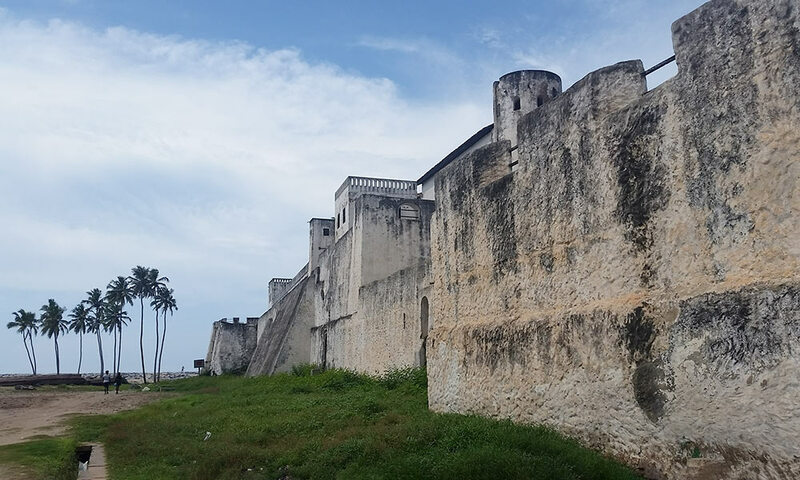 A lot of slave castles built during colonial times in Ghana were either demolished or are in poor condition due to lack of preservation. The Atlantic wind and rain are definitely not helping to make this situation better, and a lot of effort has been made by archeologists to repair and reconstruct those structures. After one week of classes, we left the traditional pace of taking notes and listening and actually applied our knowledge to real life situations. For the first time in my academic career, I was using something I learned in college outside of a classroom. As a result of this data collection, we have started to acquire not only the skillset, but the mindset of a researcher. If I have learned anything from this experience, it’s to never be content to take a structure for what it appears to be, but rather to question, and attempt to explain, what we are seeing and why we see it. 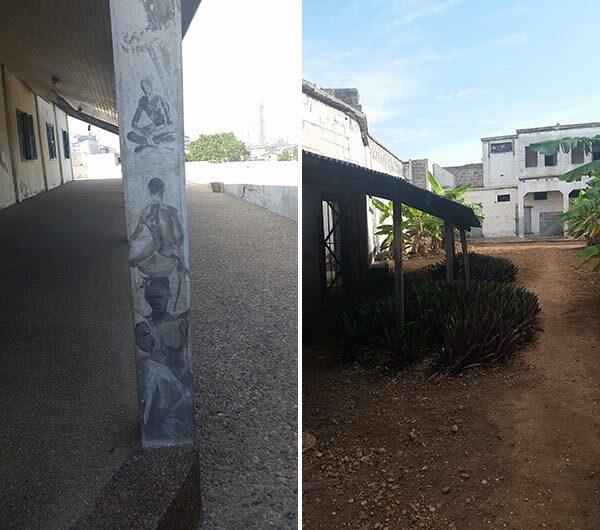 Adjacent to Fort Ussher is Jamestown, a suburb of Accra. 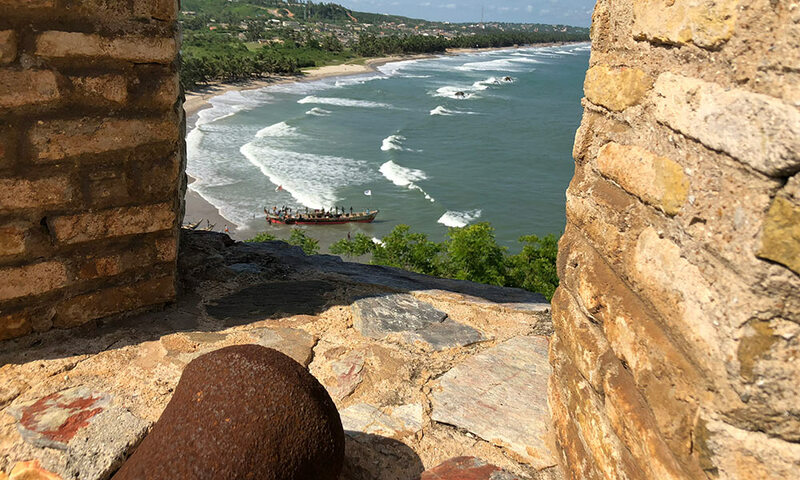 This is where the Tabom people—freed Brazilian slaves—settled when they first arrived in Ghana in 1836. Since that time the Portuguese-speaking community has remained incredibly tight-knit. This afternoon was one of many occasions in which I was in awe of our bus driver, Dou. Ghanaian streets are enclosed by a gutter on each side that’s essentially a one-foot by four-foot chasm that can trap your tires. This is hard enough to navigate around without factoring in the many people selling things in the middle of the street or the car and motorbike traffic. Shout out to you, Dou! Is it possible to have any more fun? 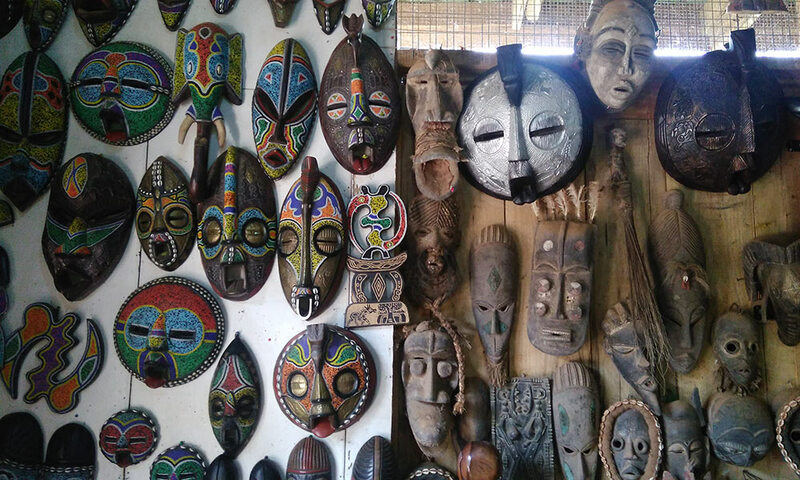 Talk about a whirlwind week … When I staggered out of the Accra airport on Saturday after 30 hours of travel through three different airports, I could not have been more relieved to see Professor Renato Perucchio waiting for me at the gate. One gigantic bottle of water later, and it was nonstop action for a week. 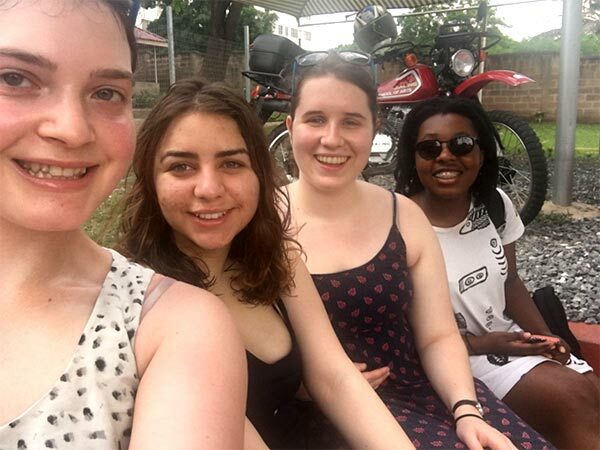 Our bus left every morning at 8:30 a.m., and the earliest we returned was 9 p.m. We traipsed after Professor Perucchio, who seems to have boundless energy and enthusiasm that quickly became infectious.